For many with knee problems, outdoor winter activities can lead to more knee pain and even injury. Orthopedic surgeon coined the term “boomeritis” to describe the wear, tear, vulnerabilities, and injuries that baby boomers are experiencing as a result of lifelong commitments to staying active. 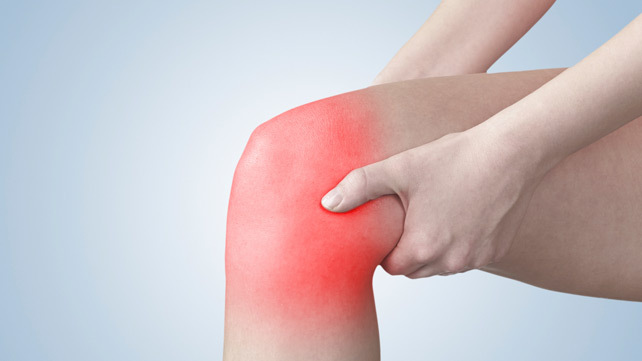 In many cases, repeated stress on the knee can lead to osteoarthritis. Motion is lotion.Motion helps reduce the risk for osteoarthritis. It both lubricates and nourishes your knees. Camel up.Drink plenty of water. Drying out reduces flexibility and increases wear and tear. On average, you need to drink eight glasses of water (eight ounces each) each day. When you exercise, you will need substantially more water to balance fluid loss. “Good” pain.A little discomfort may occur and will lessen after regular exercise. But watch for “bad” pain. Stop if you have more severe, sharp pain, especially if you are limping. Get strong.Do leg lifts that strengthen your quadriceps (front thigh) muscle, which is the main protector of your knee. Warm up, thenBreak a light sweat, then stretch to help maintain mobility and reduce joint stiffness. Stay warm.Knees are like barometers and cold, damp weather can make them more symptomatic. Try keeping your knees warm with a neoprene sleeve or knee wrap. Chill out.Ice your knees for 15 minutes after activity or exercise if you tend to develop soreness. Eat for healthy joints.Lose extra pounds to take stress of your knees. Avoid sugary, processed food, as well as foods high in saturated fat, in order to minimize inflammation. Lube job for your knees.For osteoarthritis, surgeons often use viscosupplementation to lubricate, and improve cushioning properties of the knee. Ask your doctor if you are a candidate.